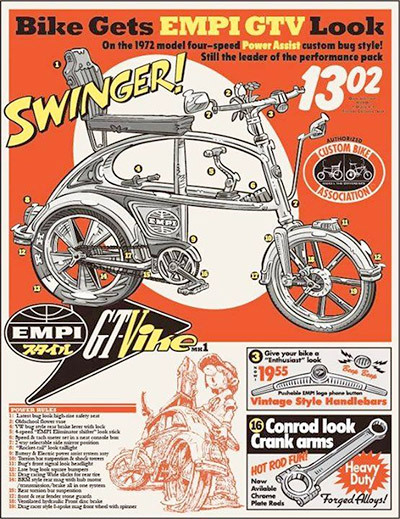 After running an online community for bike builders for 11 years you have a tendency to feel like you’ve seen it all. Then along comes a build that really makes you stop and take notice…actually, it makes your eyes bug out! 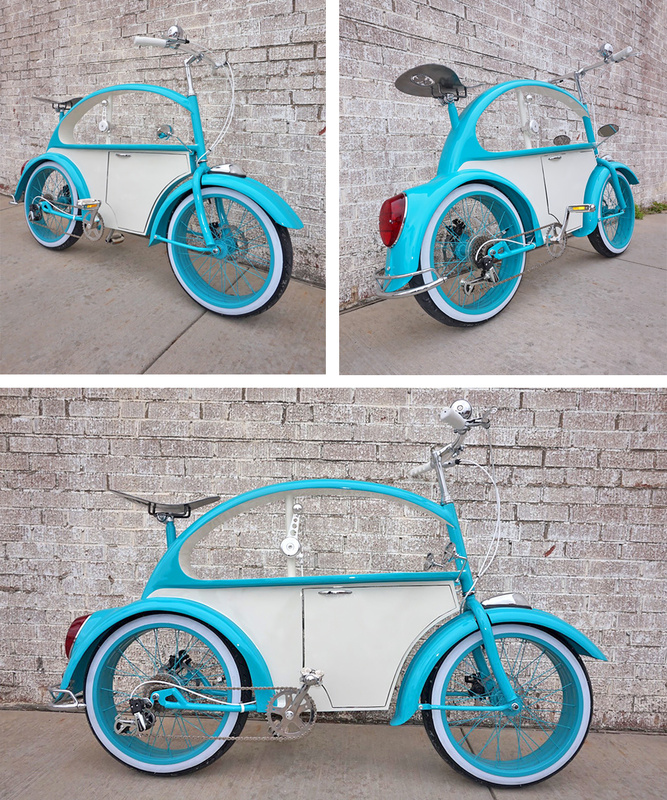 In this case we’re referring to Clyde James’ latest wild and wacky creation…the VW Beetle Bike. It made its recent debut at the OBC gathering in Las Vegas and people have been talking about it ever since. 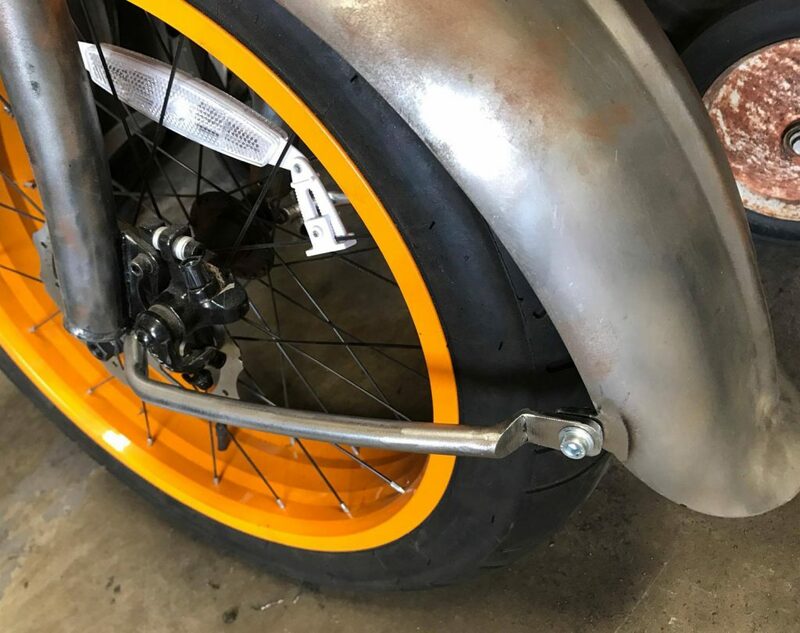 Clyde James has been building killer bikes in his shop in Haltom City, Texas for several years now and he’s quickly becoming a household name in the world of custom cruisers. 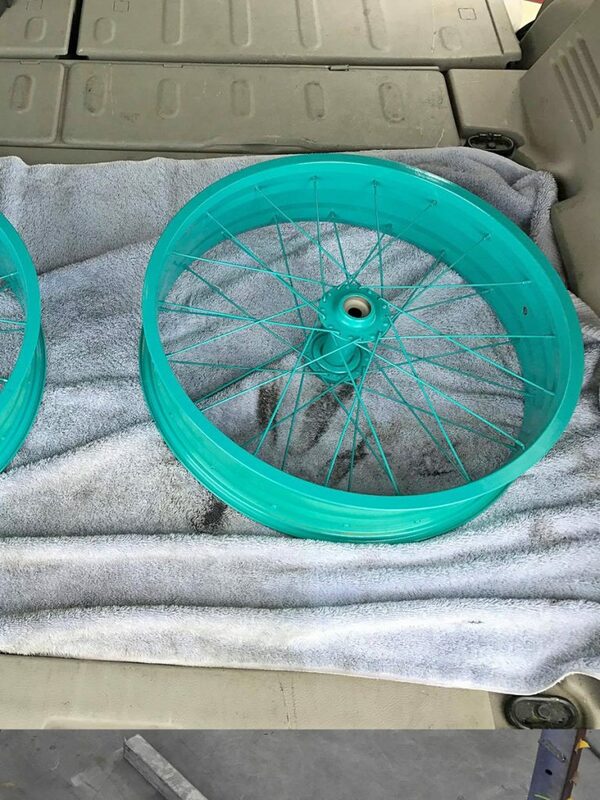 Because of this reputation, he’s the go to resource in the North Texas area for fabrication, bikes and parts. 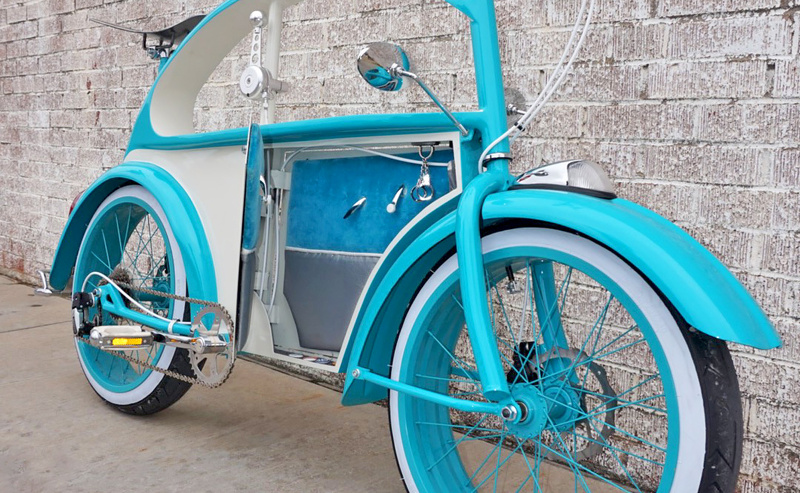 This is where the story of the VW Beetle Bike begins. As with many custom bike builds, an upcoming gathering or show is usually the motivation that drives the timeline. In this case it was the OBC 2017 gathering in Las Vegas that was scheduled for April 19. 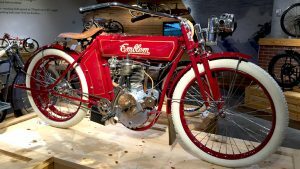 This gave Clyde and Doug about 3 months to complete the bike from start to finish. In the spirit of creating a problem and then a solution, Clyde and Doug decided to make two suicide doors with a full interior and upholstery! As you can imagine this required many long hours of hard work, but in the end, it turned out to be worth the extra effort. You can’t work on a project like this without expecting some challenges and difficulties to come along with it. In addition to the tight timeline for the build, Clyde mentioned a few other hurdles that they had to jump. 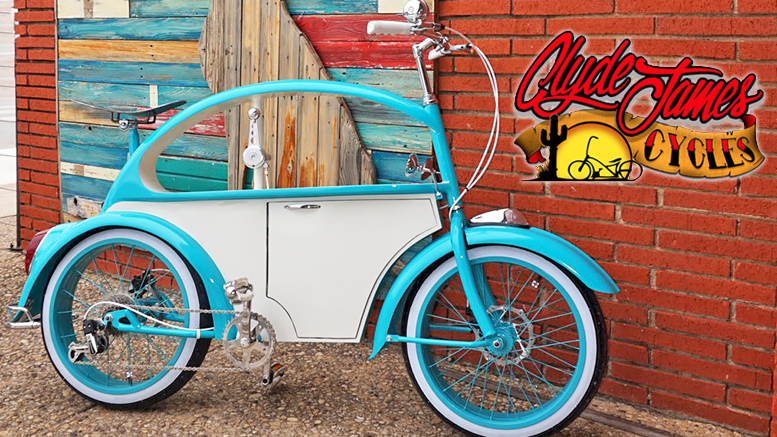 Clyde enlisted the help of his friend Tony Cano, owner of Evo Time Customs in Fort Worth, Texas who is also known as GMG Tony for his work on the TV show Fast & Loud. 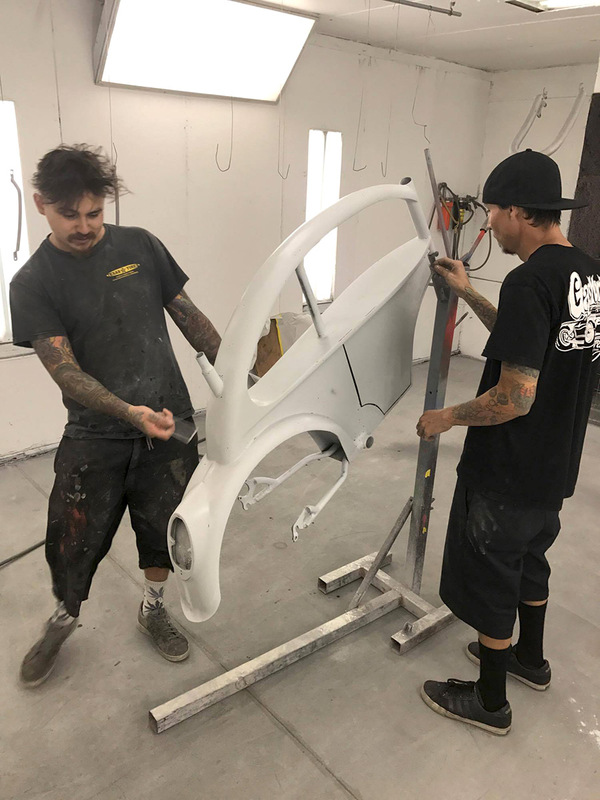 With only one day left before needing to leave for the OBC show, Tony, Steven and Clyde stayed late at Tony’s shop to knock the job out. 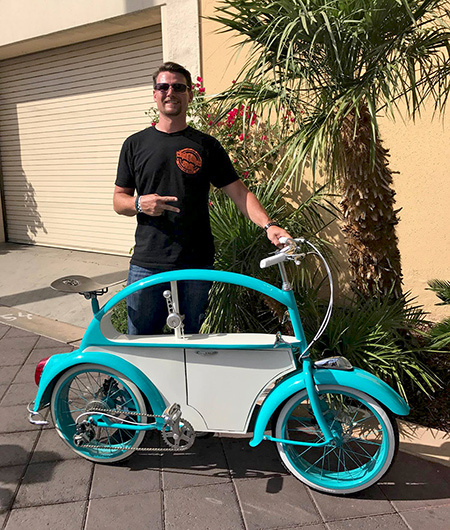 The VW Beetle Bike did make it to Vegas as planned, and as expected, it was a big hit. 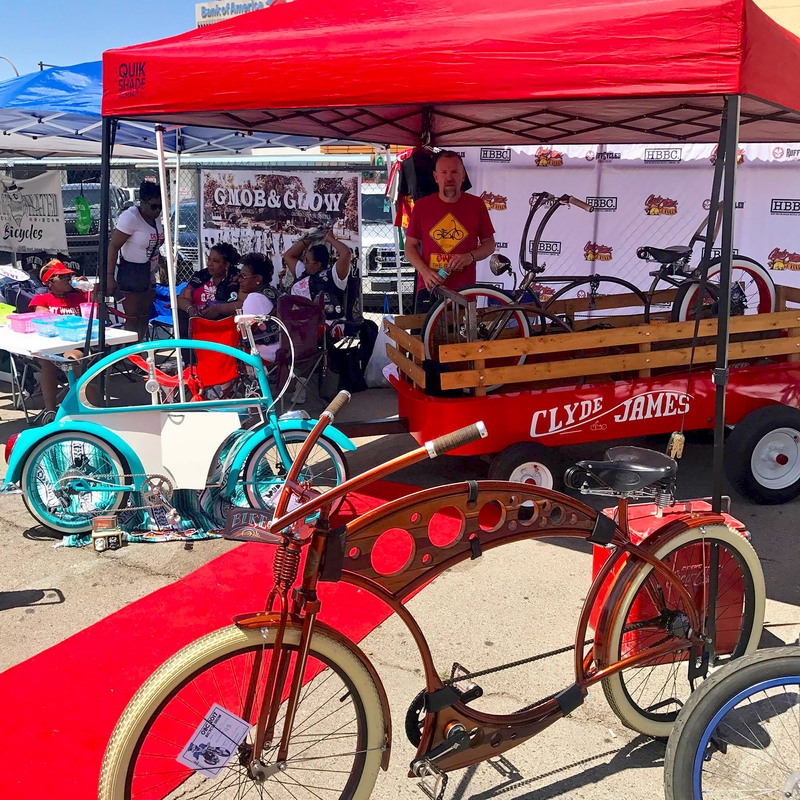 Since the unveiling, Clyde has had a lot of people asking about purchasing a bike of their own and currently he’s trying to get a manufacturing deal set up to bring the VW Beetle Bike to the masses. If anyone has any suggestions, he’d love to hear from you about a source. 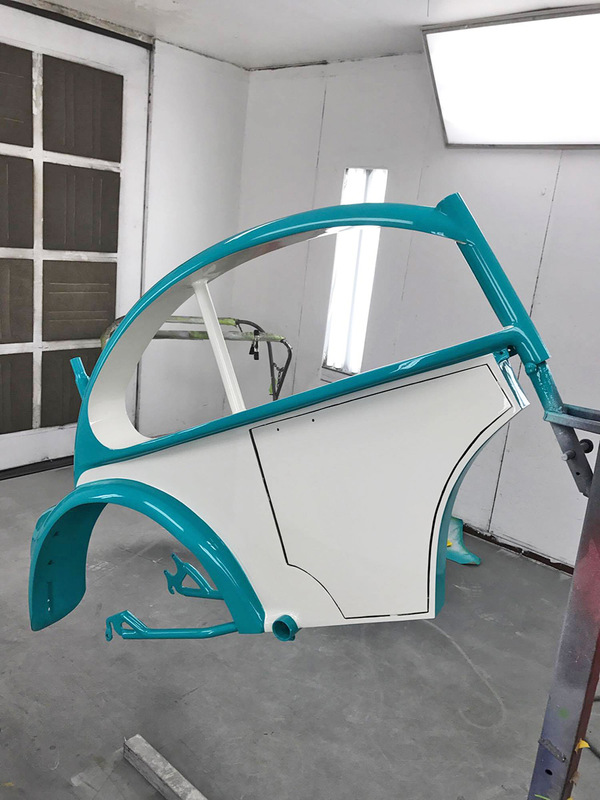 “Right now we are hand building each bike so it takes a little time to complete each individual build and paint it to the customer’s specifications.” If you are interested in having a VW Beetle Bike custom built, you can contact Clyde’s shop directly to place an order. We love shops like this that are willing to push the envelope and break creative boundaries. It’s also fun to see builders who love what they do and have fun doing it. 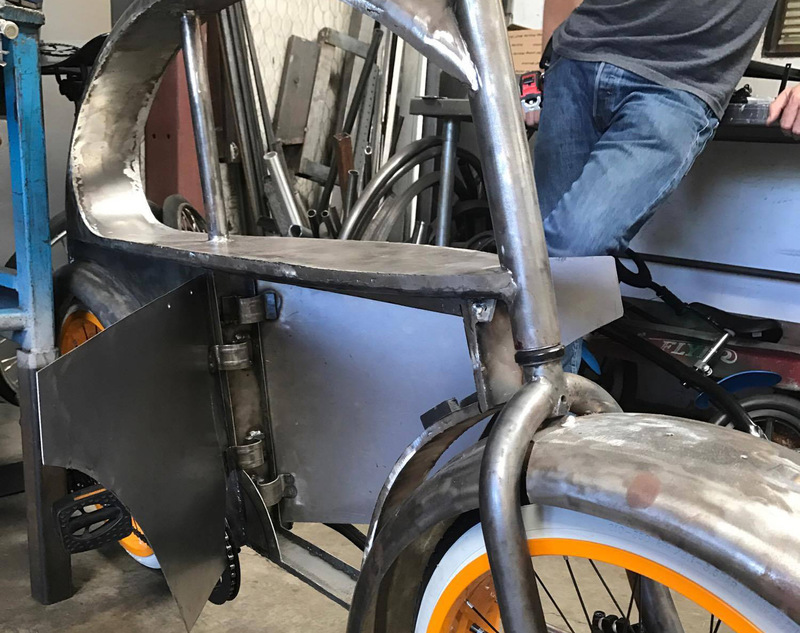 We’re looking forward to the next amazing build to come out of Clyde James Cycles’ shop. Until then, make sure to contact him for any custom work or parts that you may need. And just in case you thought it wasn’t rideable…. 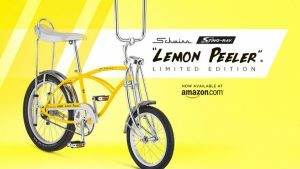 I’ve had it on my mind to build the bike in the ad from the first time I saw it. I like Clyde’s take on it. Great job! Looks like it would be very uncomfortable to ride. 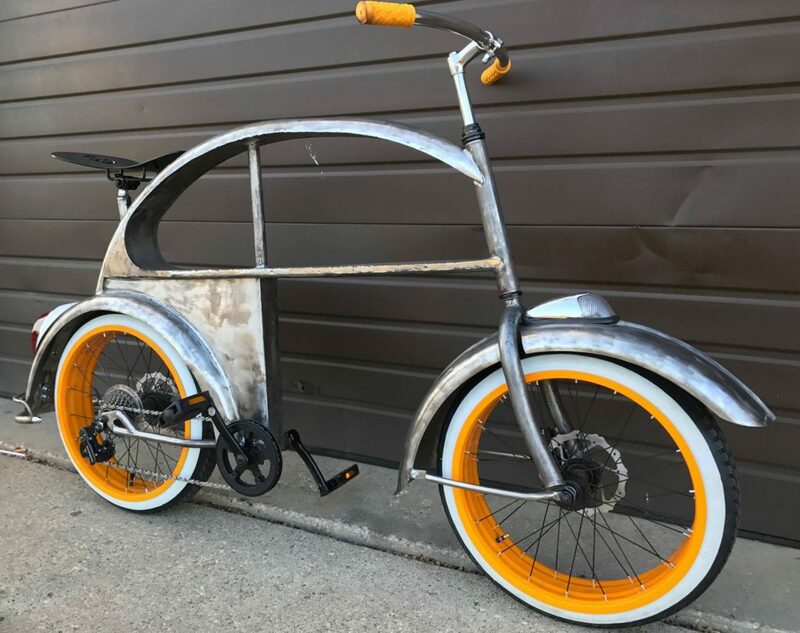 Is de beetle bike for sale ? Clyde hand makes each one for $5000 a piece…contact him if you’ve got the cash. Nah, it’s fine. You wouldn’t want to long distances on it, but that’s not the point. 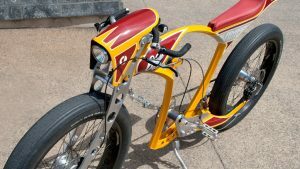 I just saw someone riding this very bike down a street in Dallas yesterday! It definately made me stop and stare!